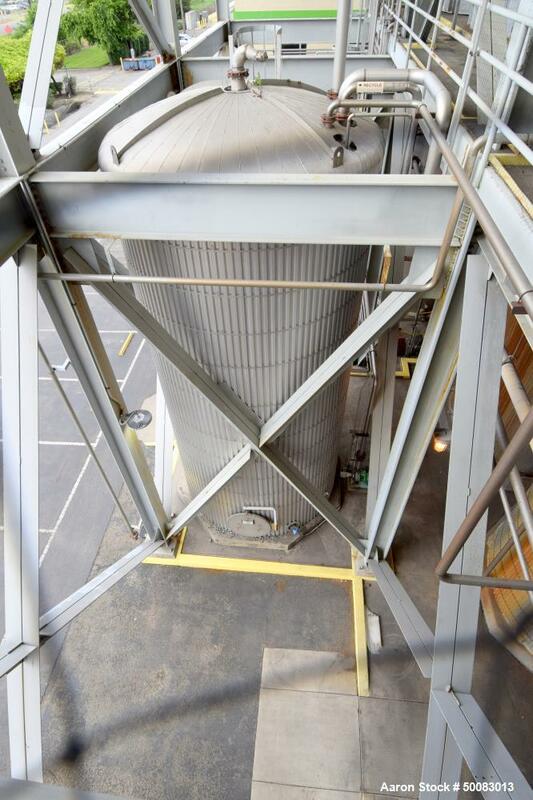 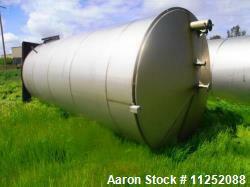 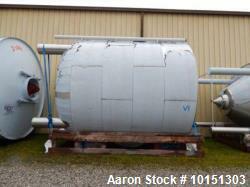 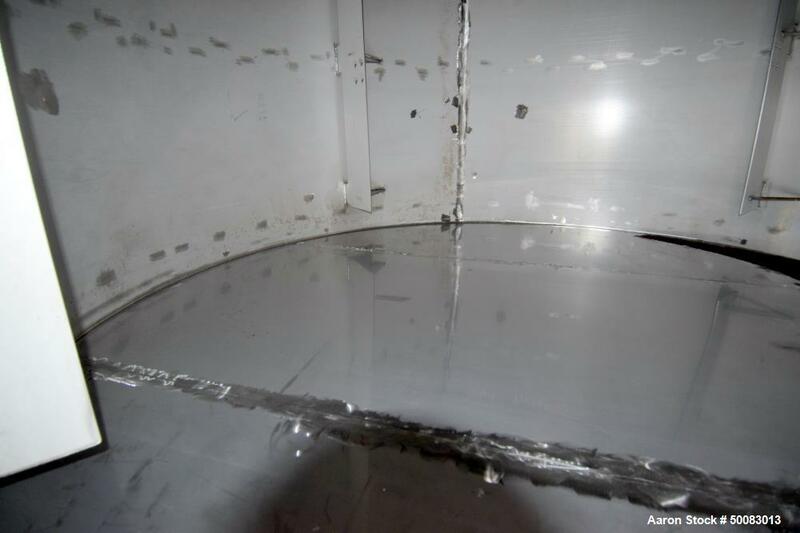 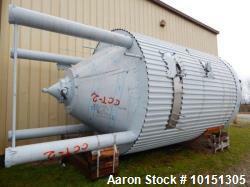 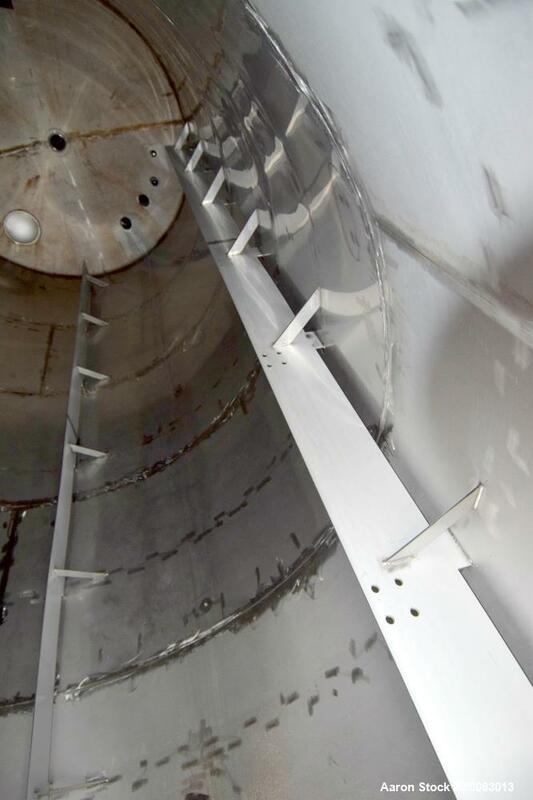 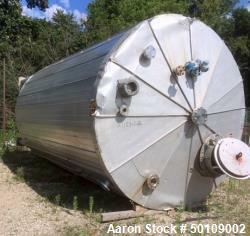 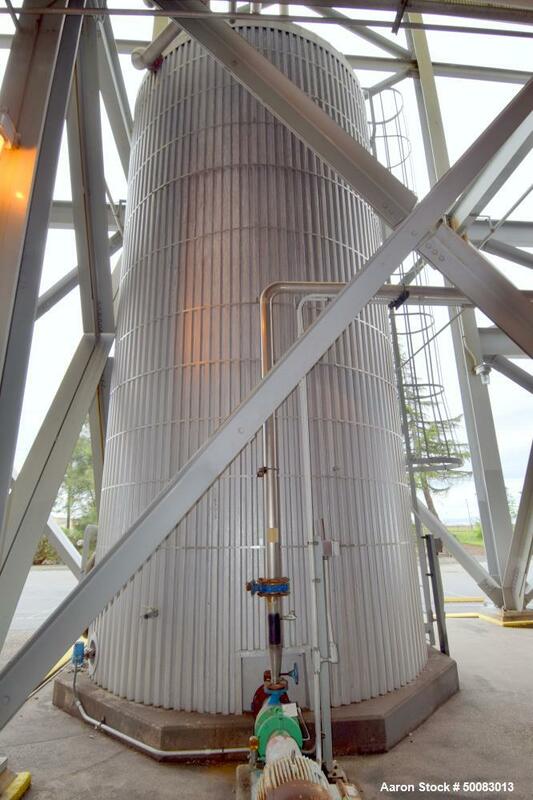 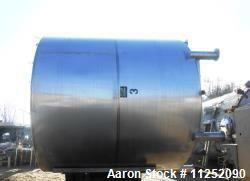 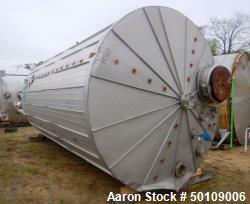 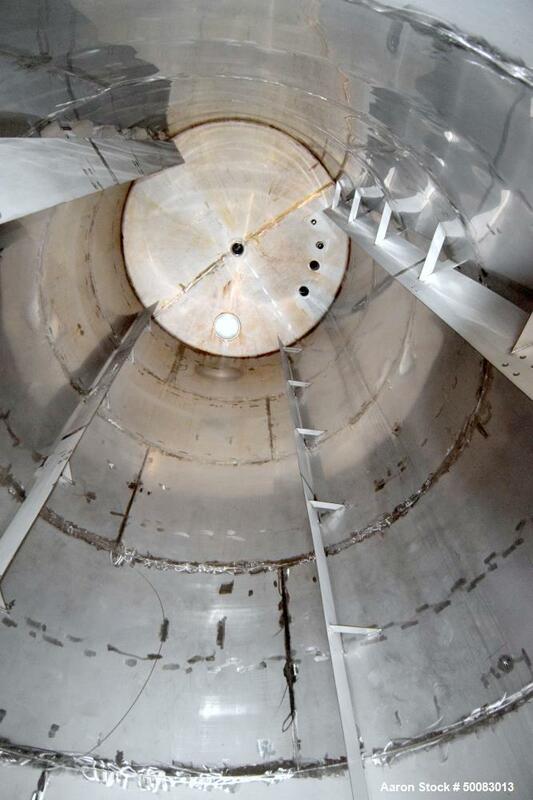 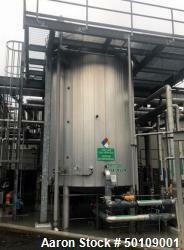 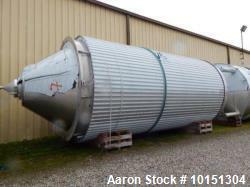 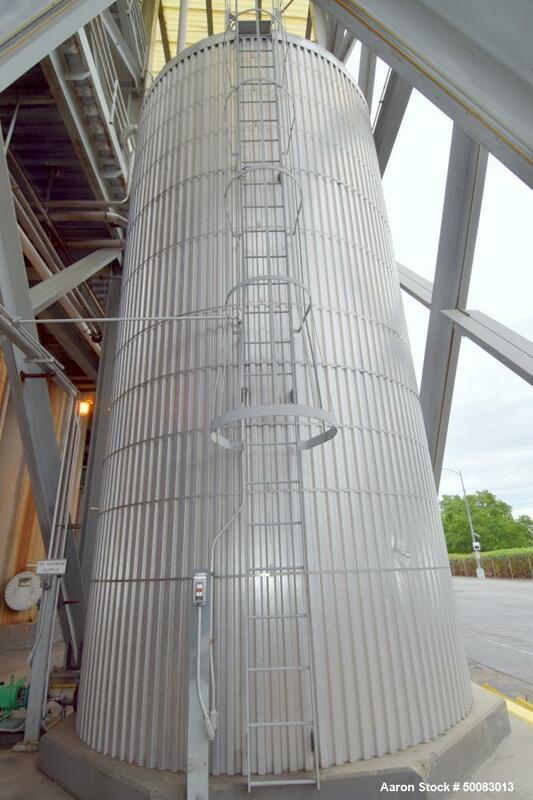 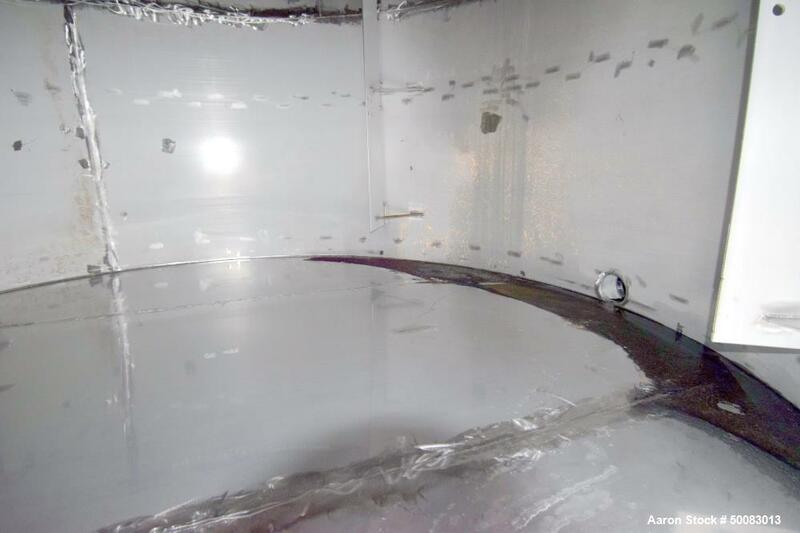 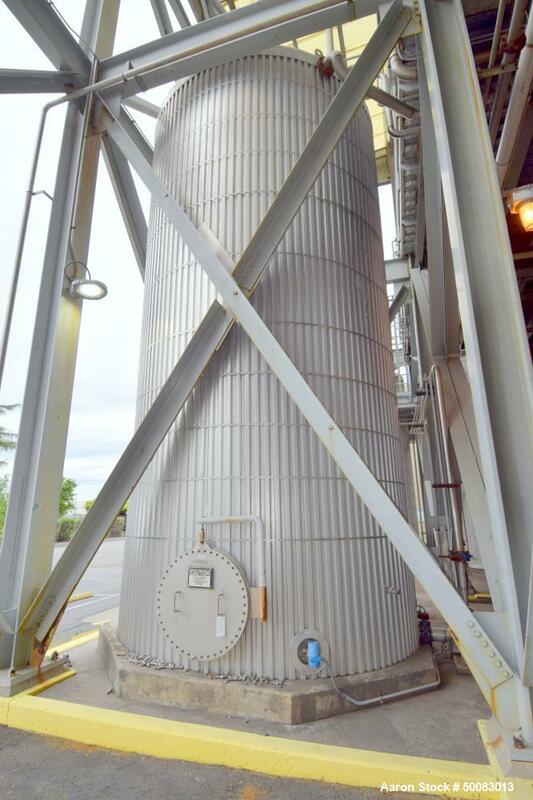 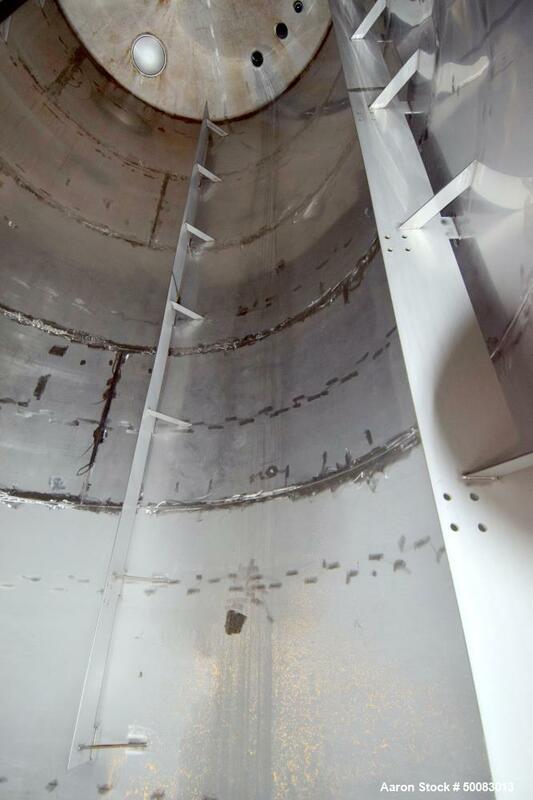 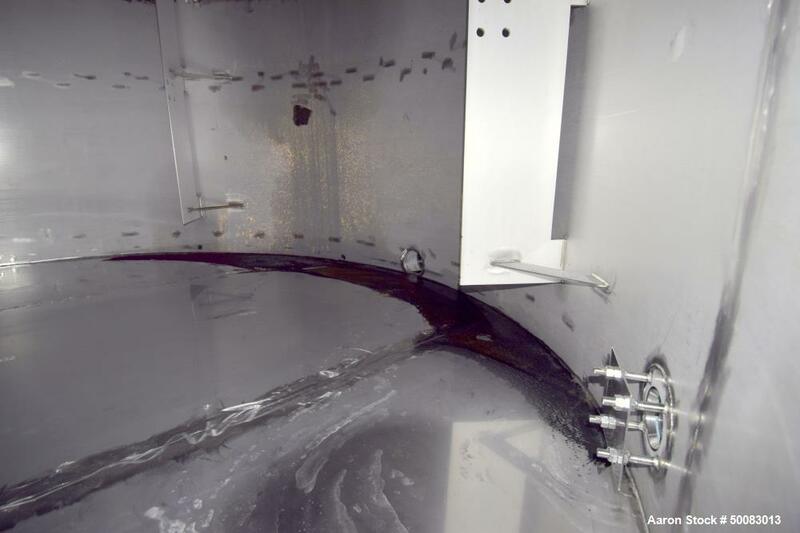 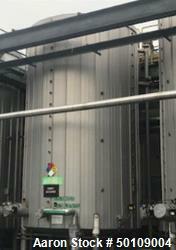 Used- Tank, Approximately 20,000 gallon, Stainless Steel, Vertical. 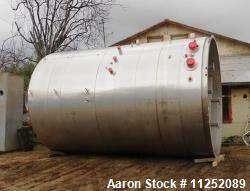 Approximately 144” diameter x 300” straight side, dished top, sloped bottom. 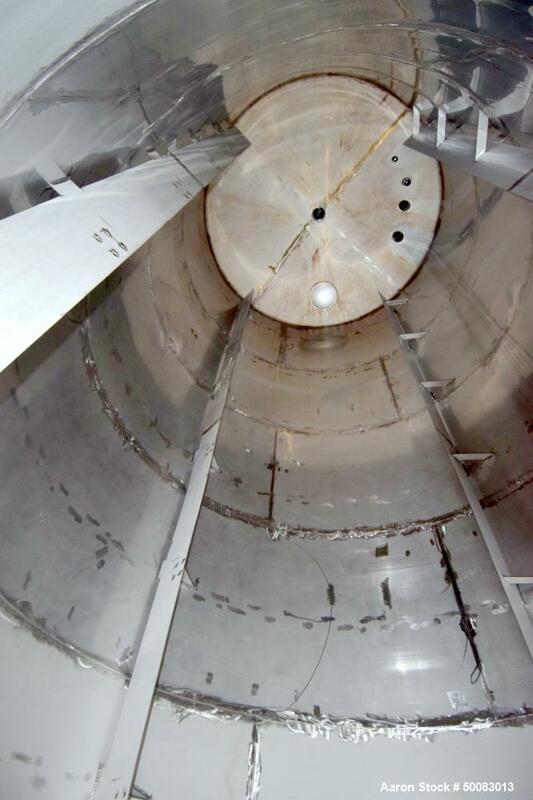 (4) Sidewall baffles, side bottom man way with cover, side bottom outlet. 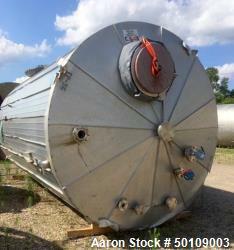 No manufacturers tag visible.